Middle Fork Outfitters is a premier wilderness outfitter in Idaho specializing in remote wilderness fair chaise hunts and wilderness guide schools. We are permitted in both the Frank Church River of No Return and the Salmon Challis National Forest in units 27 and 28. Our permitted area is approximately 260 square miles of unforgettable backcountry beauty. The Middle Fork country is fantastic game rich country. 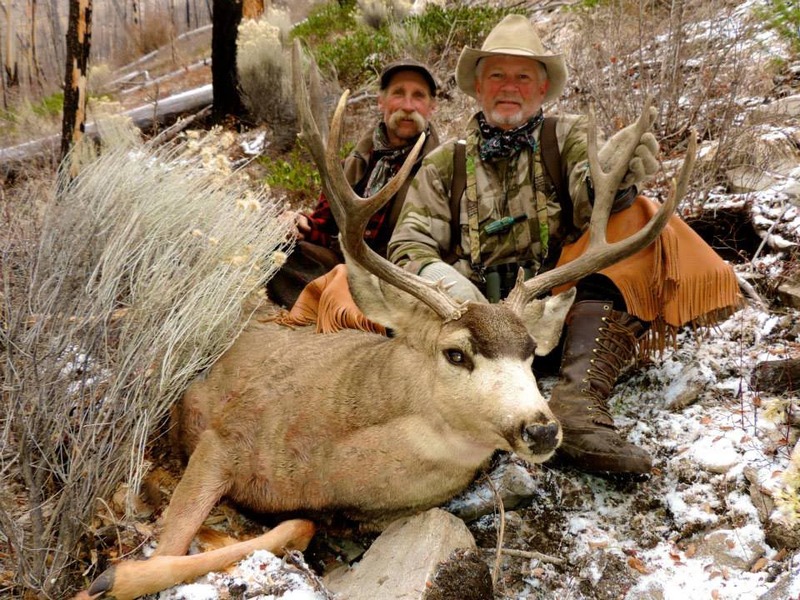 We offer high country trophy mule deer hunts in combination with our elk hunts. These late season hunts are a great time to harvest a trophy buck. Come join us for a Rocky Mountain bear hunt at our ranch on Silver Creek. Spring is a beautiful season in the Salmon River Mountains and bear hunting is at its best. We offer hunts over baits, spot and stalk hunting, and for the adventuresome, hound hunting. We have an abundance of bears and a large area to hunt them in. For unsurpassed beauty and excitement come join us for a winter mountain lion. We have a large population of trophy lions and we have had great success rate using our well-trained hounds. The B Bar C Ranch is a privately owned ranch that we lease. The B Bar C has 200 acres of pasture & hill land that we use for fishing, hiking, and horse graze. The ranch has two main cabins, two main barns, a private plane hangar, as well as numerous outbuildings. The ranch maintains a relaxed and comfortable feel. Bighorn Sheep and Mountain Goats are most sportsmen's dreams. We can make that dream come true. We offer ten day fully guided hunts with two guides per hunter. The guiding profession is one of the greatest outdoor jobs available to the modern day mountain man. Before heading to camp, a guide must have the skills and desire to work long hard hours under the same conditions that Jim Bridger and Kit Carson trapped beaver in the Shining Mountains.